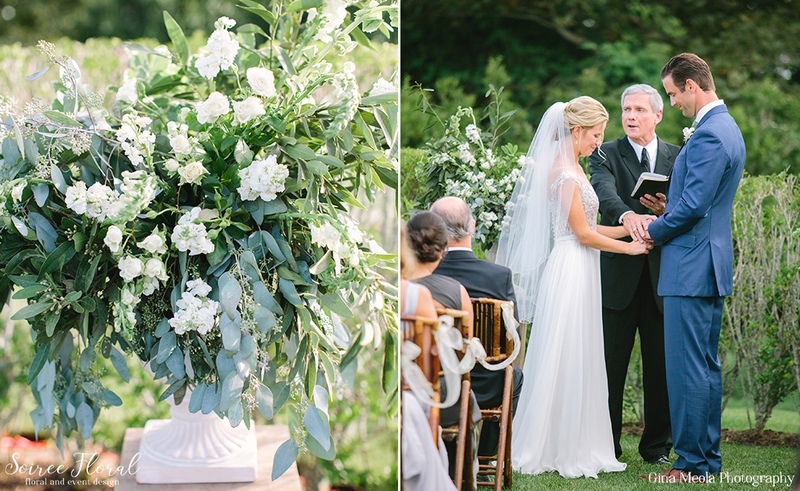 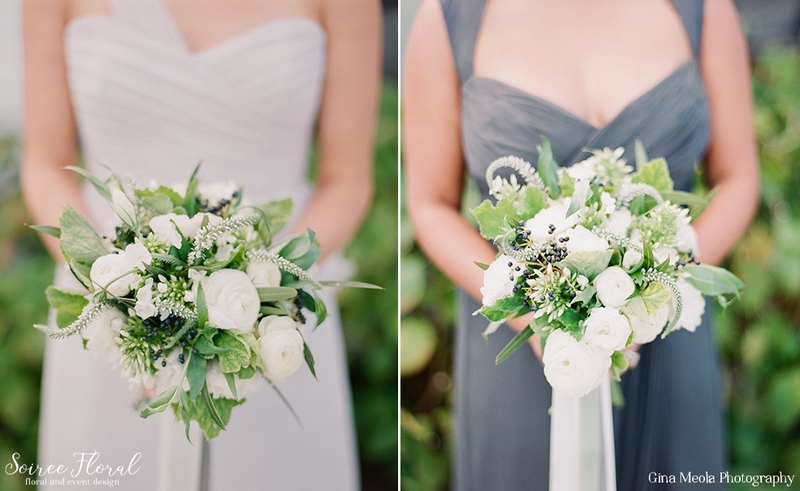 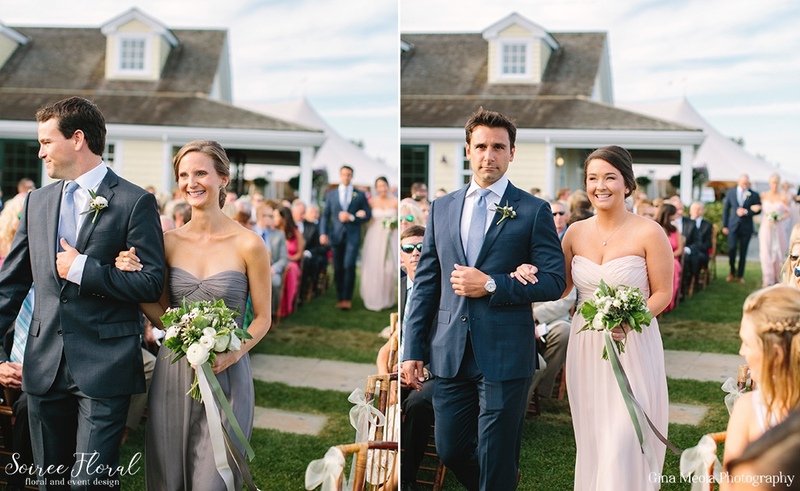 This couple’s September wedding on Nantucket had such an ethereal feel to it – from the shades of green and white, the whimsical movement of the centerpieces to the delicate gowns the bridesmaids wore. 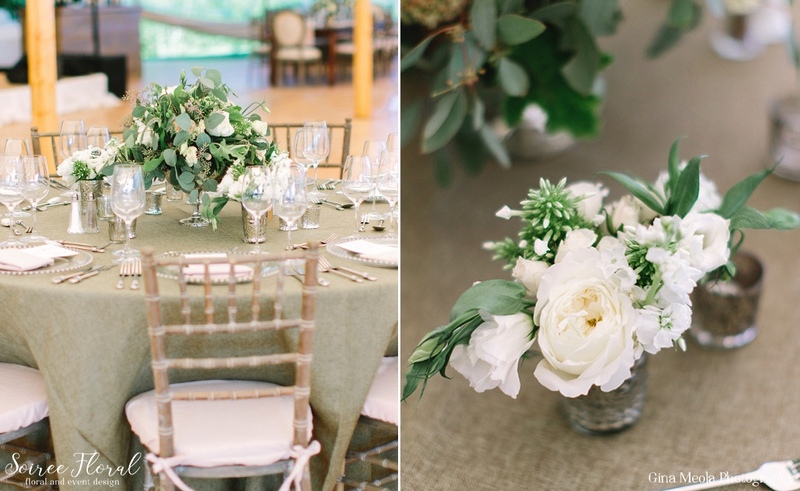 Fluffy petals mixed with shades of green created an effortless elegance to the tented reception at The Westmoor Club where we designed three different tablescapes. 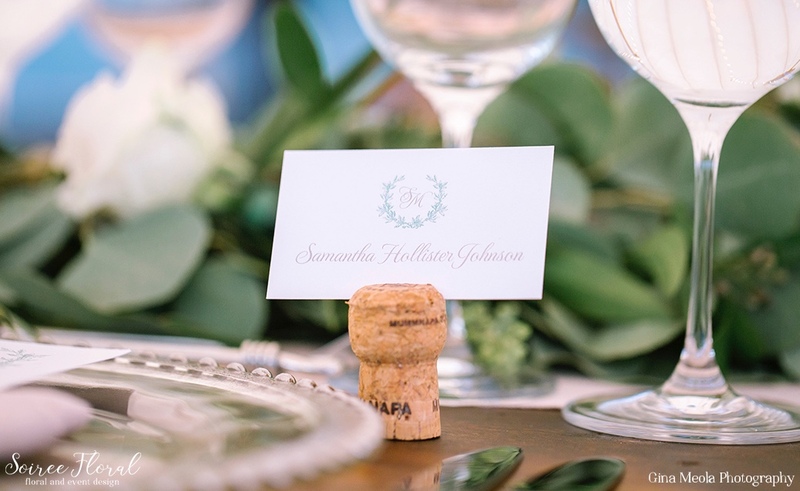 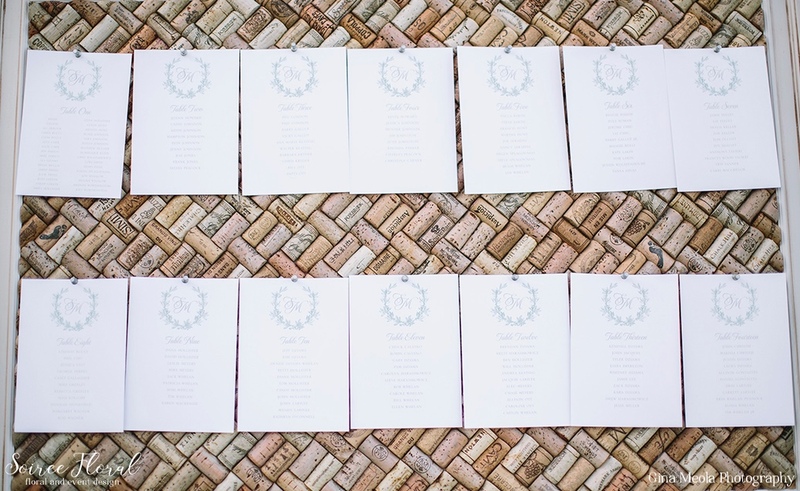 Along with the floral design we worked with our bride to create a custom logo and a day-of stationery collection that featured scripted fonts in shades of grey. 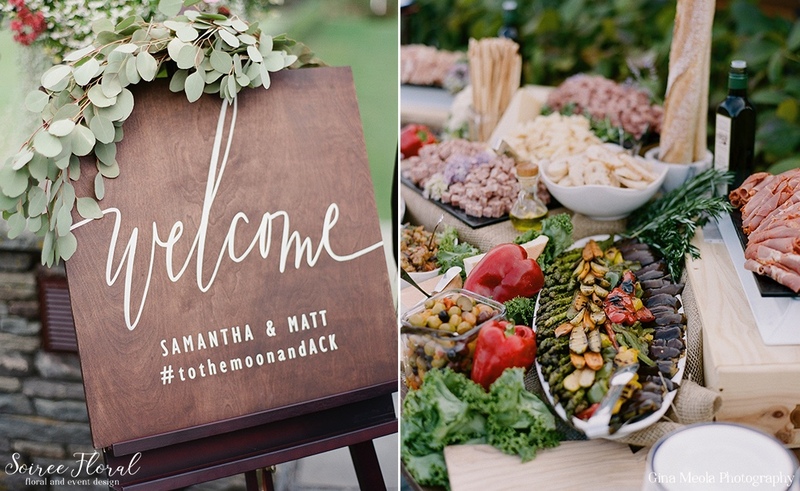 A custom welcome sign greeted guests at cocktail hour and shared the weekend’s hashtag. 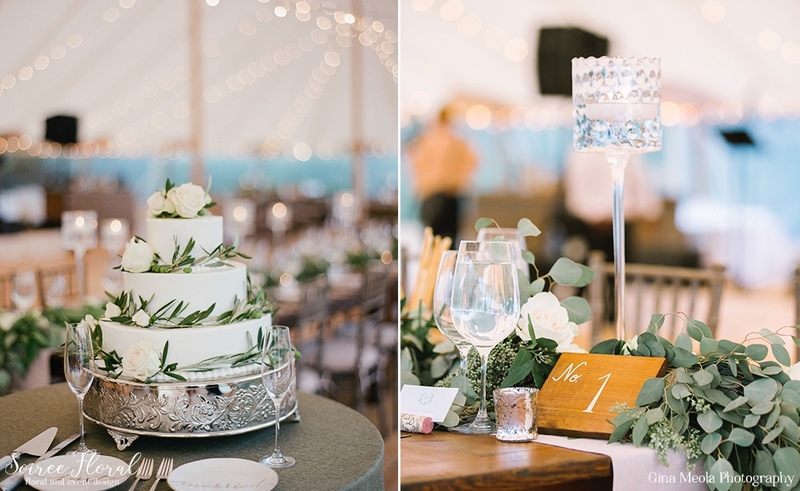 Rentals from New England Country Rentals completed the look and the couple and their families danced the night away under a twinkle-lit sperry tent on one of the most gorgeous Nantucket evenings. 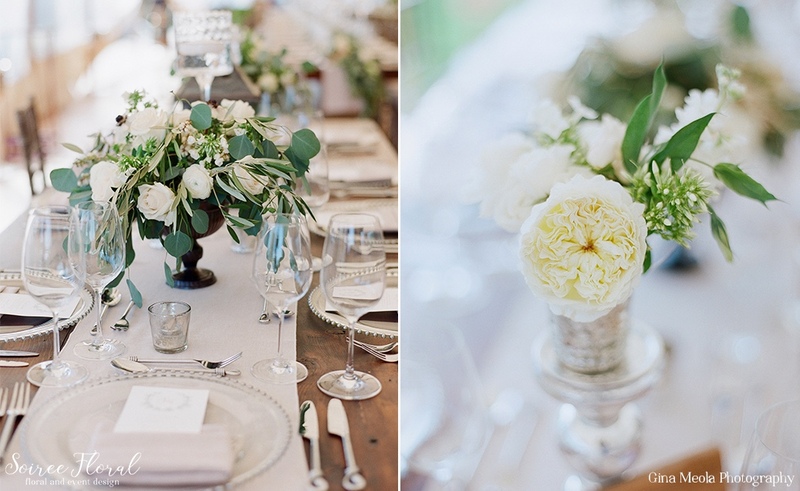 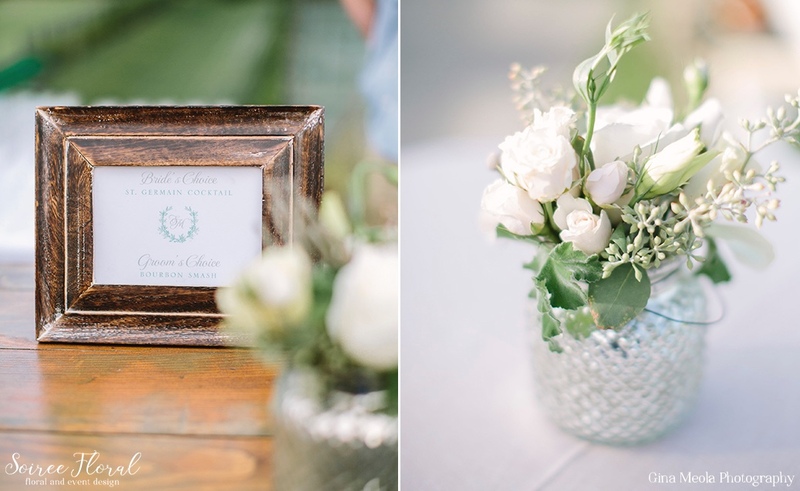 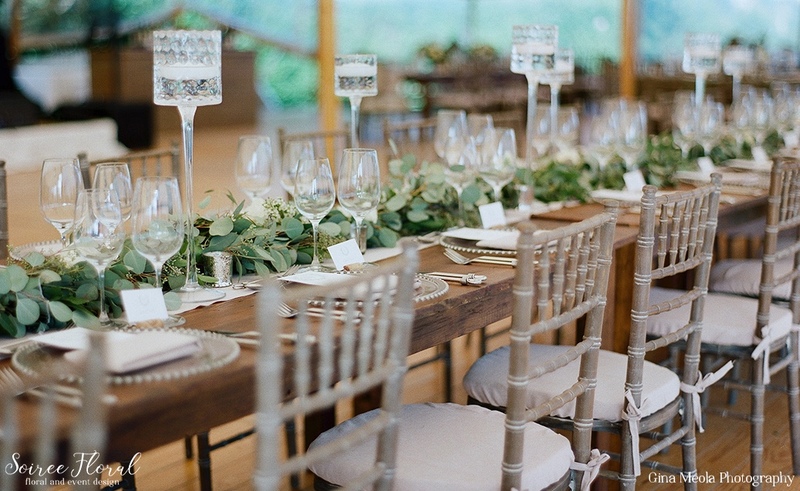 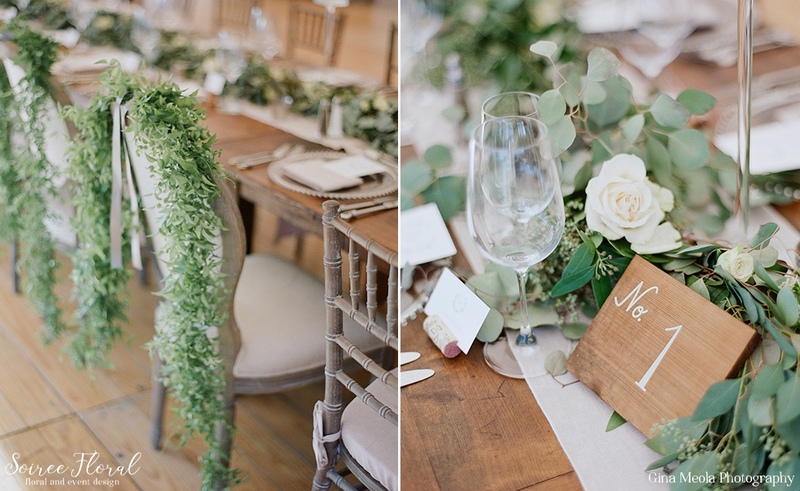 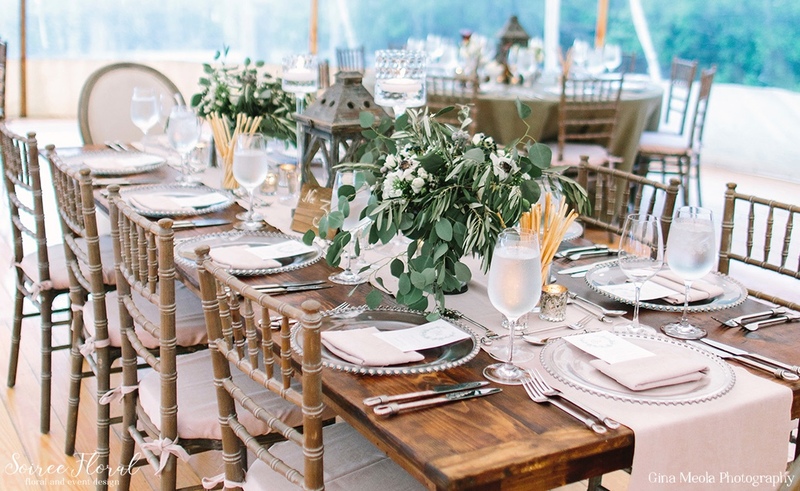 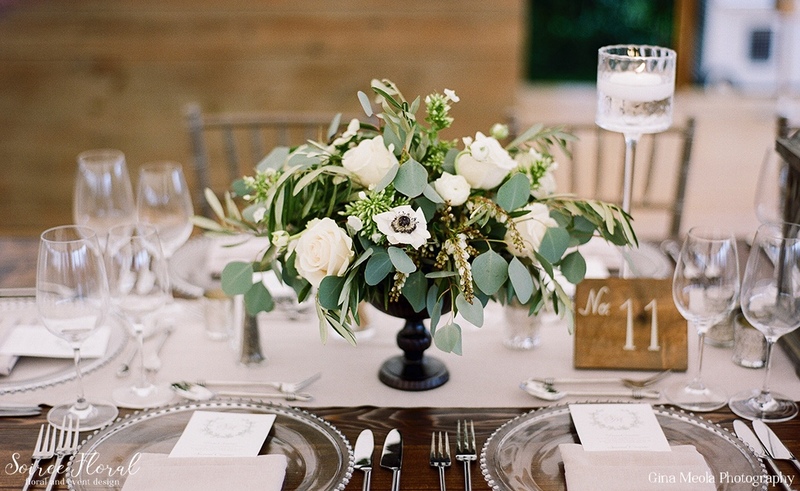 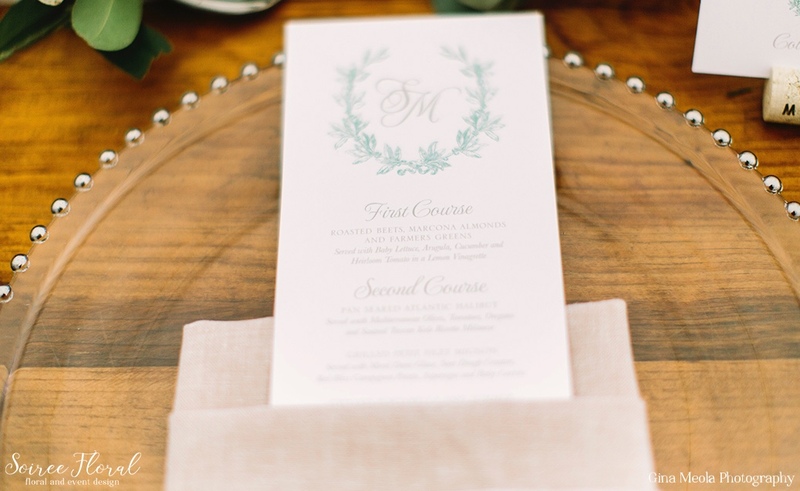 Floral Design: Soiree Floral, Photography: Gina Meola, Event Design & Stationery: Dawn Kelly Designs, Venue & Catering : The Westmoor Club, Rentals: New England Country Rentals, Tent: Nantucket Tents.